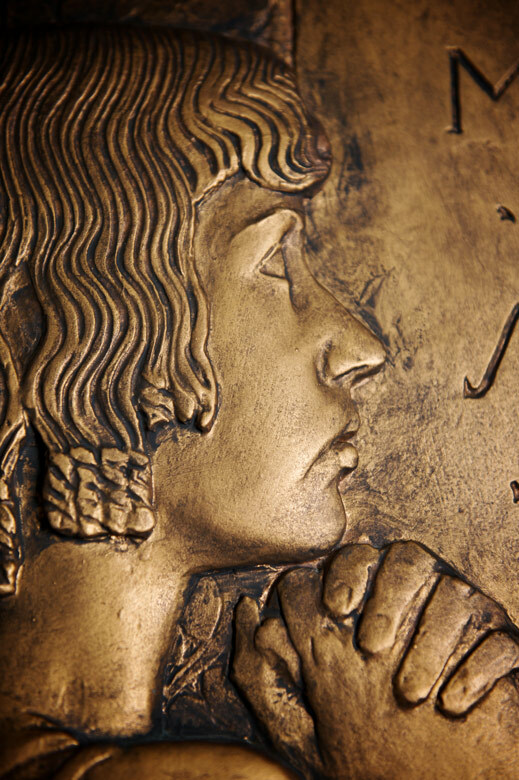 Zimm was a nationally recognized sculptor whose prominent work includes three repeating panels around the rotunda entablature of the Palace of Fine Arts in San Francisco, which was constructed for the 1915 Panama-Pacific Exposition. 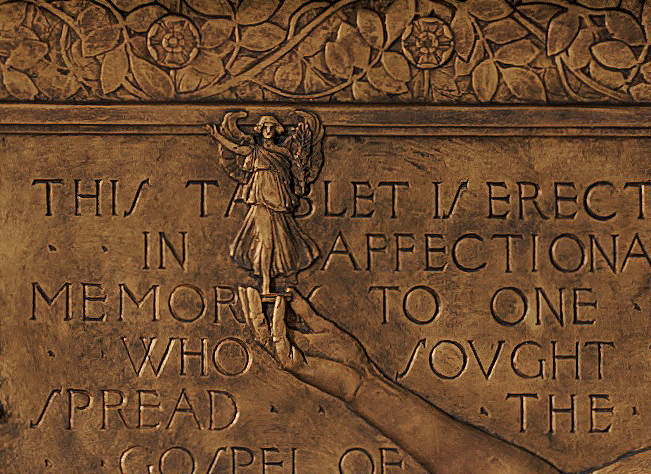 When commissioned to create the frieze tribute to Mrs. Murdock, he sought to create a piece that was symbolic of the fact that art brings victory over life. At some point in time, the frieze was covered up. 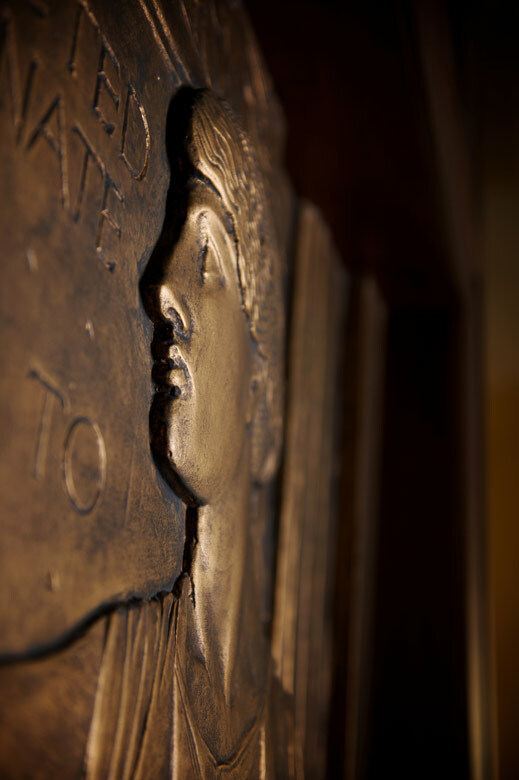 When the restoration began in 2006, the frieze was uncovered. 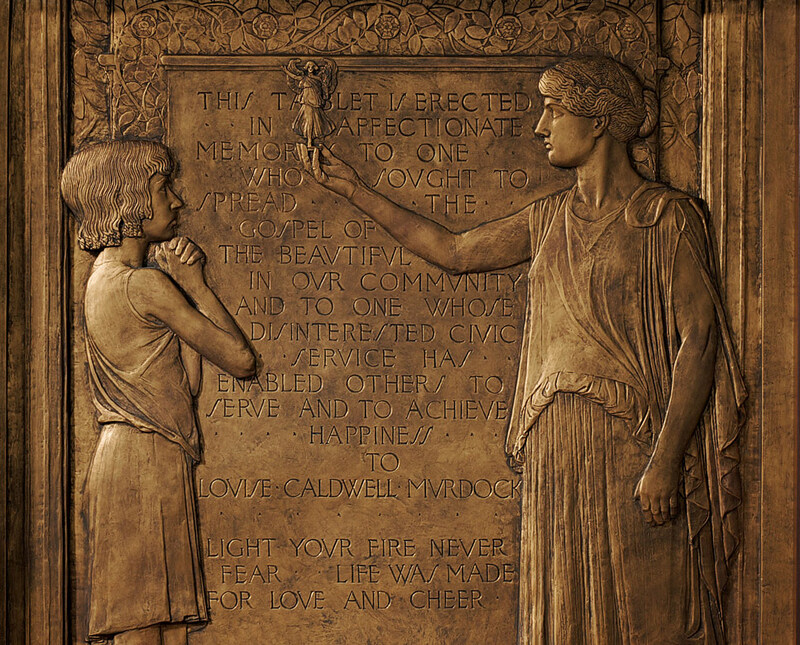 With the permission of the Department of the Interior, the frieze was moved to a prominent place in the lobby rotunda where it reminds all who regard it of Mrs. Murdock’s efforts to foster the pursuits of knowledge and cultural enlightenment. 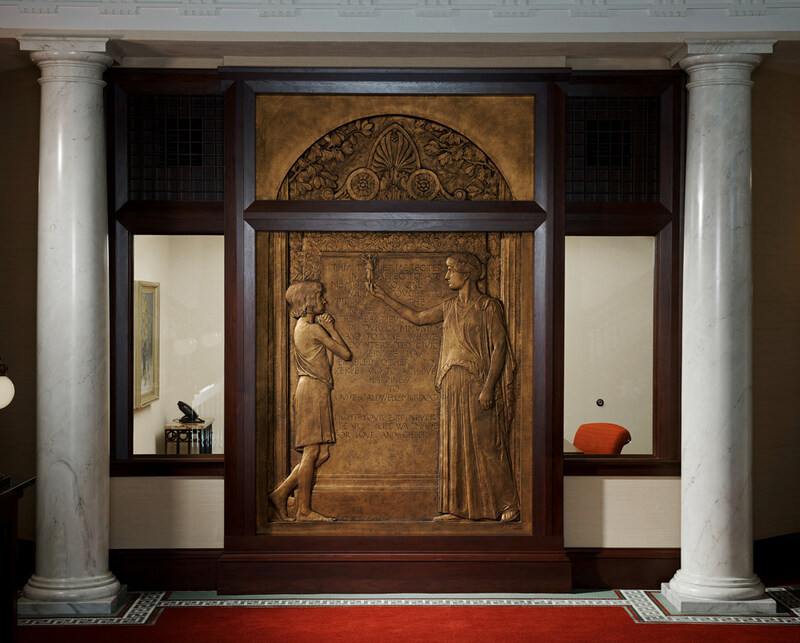 Other works of note that once resided in the Carnegie include a painting by John “Wichita Bill” Noble and Arthur Sinclair Covey’s “Spirit of Kansas” mural. These works now reside in the Wichita Center for the Arts and the Southwest National Bank downtown office lobby, respectively.